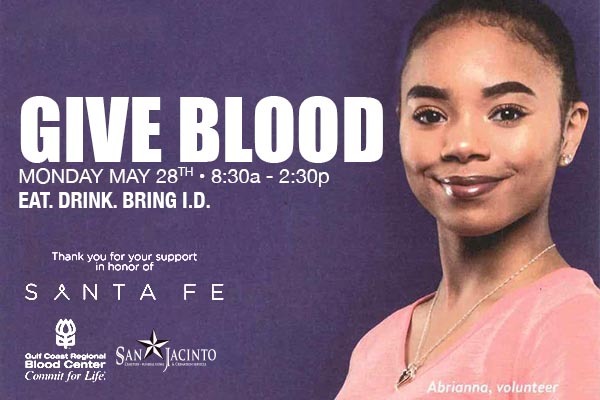 San Jacinto Memorial Park & Funeral Home will be hosting a Memorial Day blood drive to support the Gulf Coast Regional Blood Center in their desperate need for blood following the recent Santa Fe tragedy. This is the only blood drive scheduled for Monday, May 28, 2018 – Memorial Day. Additional blood drives are being conducted throughout the Houston area right now for those who would like to donate. For donation times and locations, check the Gulf Coast Regional Blood Center’s site: http://www.giveblood.org/where-to-donate/mobile-drives/by-date/. You can make an appointment in advance by calling San Jacinto Memorial Park & Funeral Home at 713-453-7114.